Posted on 01/04/2010 by Glenn B.
I am quite fascinated by geekdom and alternate history, but I must admit, I was not too excited by this film. Zack Snyder delivered a long, grueling, mixed bag of a film that seemed to split even the most die-hard fans of the graphic novel (and I do not count myself among them) right down the middle. But if there’s one thing it effectively conveyed, it’s that the only people who would voluntarily become superheroes are those with severe social or mental issues. 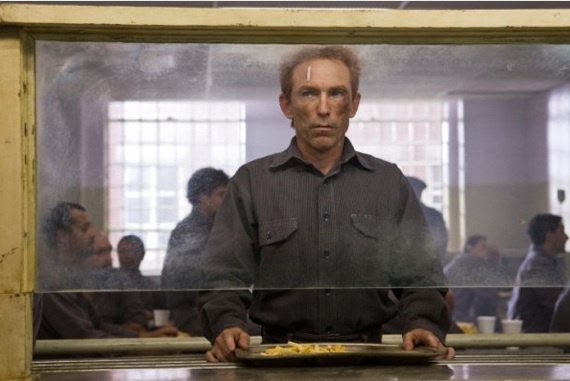 And so we meet Rorschach, the unrepentant, masked psychopath played to absolute perfection by Jackie Earle Haley. Like I said last year, there’s just something great about a well-played psychopath. 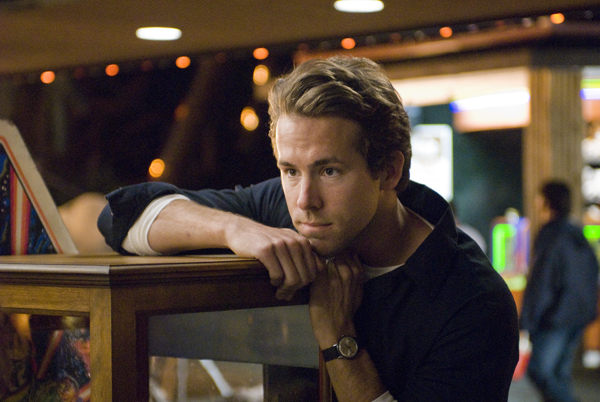 Haley took what could have been a one-note, gruff-talking slasher and imbued him with some fascinating personality, giving the finest comic performance I’ve seen since Heath Ledger’s Joker. Denis Menochet only appears in one scene of this film, but it was a doozy (see Viola Davis from last year). He plays the French dairy farmer Perrier LaPadite, who is suspected by the SS of harboring a Jewish family. What ensues is a masterful interrogation scene between LaPadite and the SS Colonel Hans Landa (Christoph Waltz). As with many other scenes in this film, the tension gradually increases as the scene goes on. LaPadite is a physically imposing man, but he has everything to lose, and Menochet lays all of his vulnerability bare as Landa closes in on the truth. Menochet deserves every bit as much credit as Waltz for how well this scene played, and it is certainly one of the most memorable in the film. David Yates brings another strong entry to J.K. Rowling’s Harry Potter franchise, and Jim Broadbent is the finest example yet of the franchise’s reliably strong casting. Like so many of Rowling’s characters, Horace Slughorn is a well-written blend of familiar tropes – a grand old wizard, a collector of the ambitious and famous, a well-meaning man with a terrible secret – but also greater than the sum of his parts. Broadbent’s performance is absolutely delightful in many scenes, and downright somber in others. 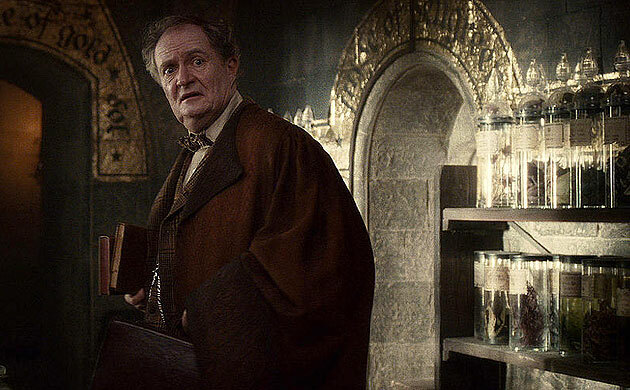 When his secret is inevitably revealed (as cinematic secrets must be), we are treated to a heartbreaking soliloquy in which Slughorn reminisces about Harry Potter’s dead mother, who was one of his favorite students. This scene features some of the best acting in the film by both Broadbent and Daniel Radcliffe, and is almost certainly the film’s emotional climax. 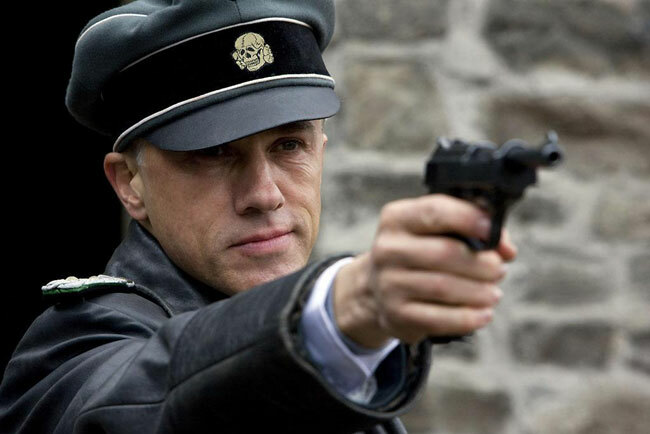 The finest acting in the film is that of Christoph Waltz as SS Colonel Landa. He somehow manages to combine an outwardly cheerful demeanor with such simmering, underlying menace that each of his scenes will have you on the edge of your seat. [Quentin] Tarantino’s strength has always been in crafting lengthy scenes of gradually increasing tension amid seemingly innocuous dialogue, in which the question is not whether the scene will end badly; the question is “how badly” and “for whom?”. Waltz’s performance works masterfully within this framework; whether interrogating a dairy farmer under suspicion for harboring Jews, or conversing over Parisian strudel with a potential enemy, Waltz’ every facial tic gradually reveals his true intentions, as he leads the conversation exactly where he wants it to go. He is one of Tarantino’s most complex and well-crafted characters, and Waltz plays the part immaculately. In addition to a fantastic performance of a complex character, Waltz seemlessly flitted back and forth between onscreen languages. We’ve seen plenty of cinematic polyglots before, but what separates Waltz from, say, Jennifer Garner, is that he sounds as much at home in one language as another. Without him, this film could not have been the same… Indeed, it might not have even been made. Tarantino has praised Waltz publicly for making this film possible, and he will quite deservedly be remembered for playing one of the finest villains of all time.